What a fabulous place the Ragged Cot is. 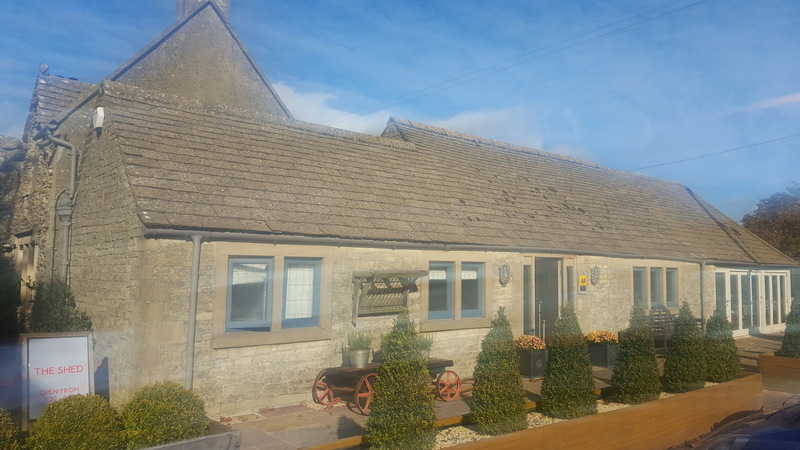 Picturesque surroundings, lovely building and a very tidy drive greet you. Then you notice the excellent décor, recently swept porch and smart furniture. I walked to the bar, and was ushered to my seat by a very polite waitress, who gave me the menu and made a suggestion for me. 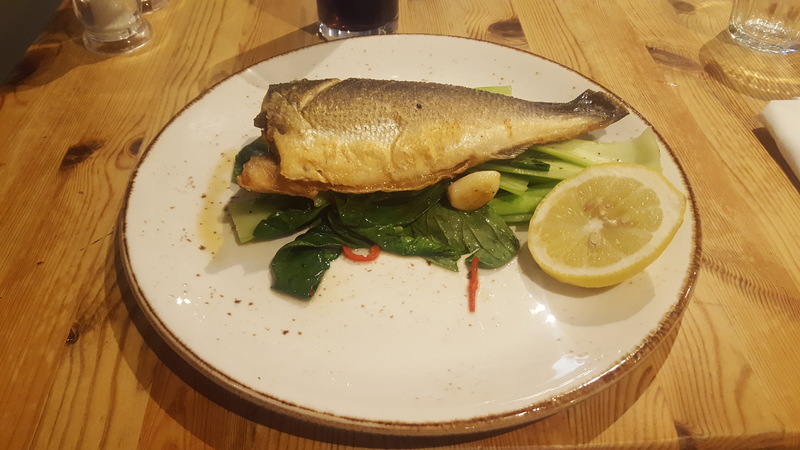 I chose Whole Pan Fried Sea Bass, Pak Choi, Chilli & Roasted Garlic. Beautifully presented, in very good time and perfectly seasoned. While I enjoyed the lunch, I looked around at my fellow dinner guests. 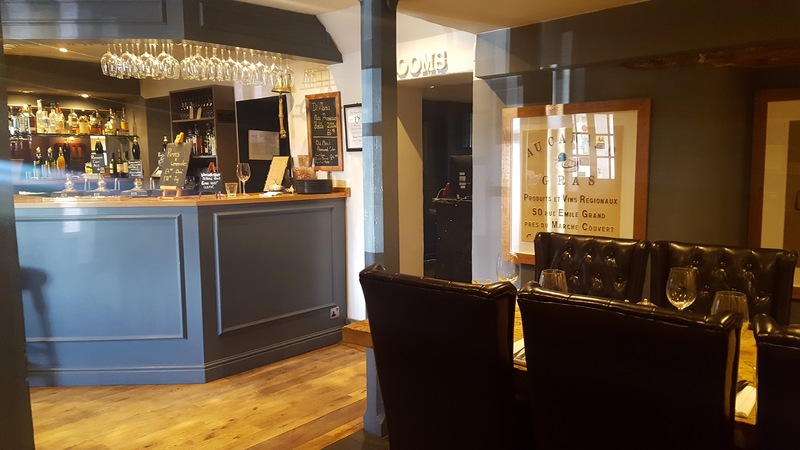 Everyone was happy, there was a friendly atmosphere throughout the bar and restaurant area and I felt “at home”. The décor has recently been revamped, and includes some interesting prints and objects. The staff were happy to help and resolve any issues. The waitress was attentive and polite without being overbearing, which was perfect. 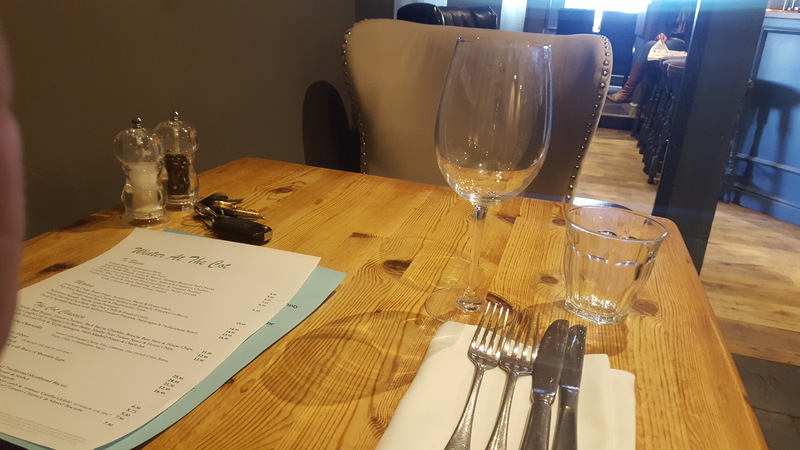 I would strongly recommend The Ragged Cot as a place for lunch, supper or special occasion.